Welcome to Whitwell Brass Band. We are a Fourth Section band established in 1867. The band is very active in both competitions and local community events. Please check our calendar for our upcoming events. If you wish to hire the band contact us for details. We are available for garden openings, galas, weddings, parties and park performances - in fact whenever you need a good brass band! We are based in the former coal mining village of Whitwell in north Derbyshire on the border of Nottinghamshire. 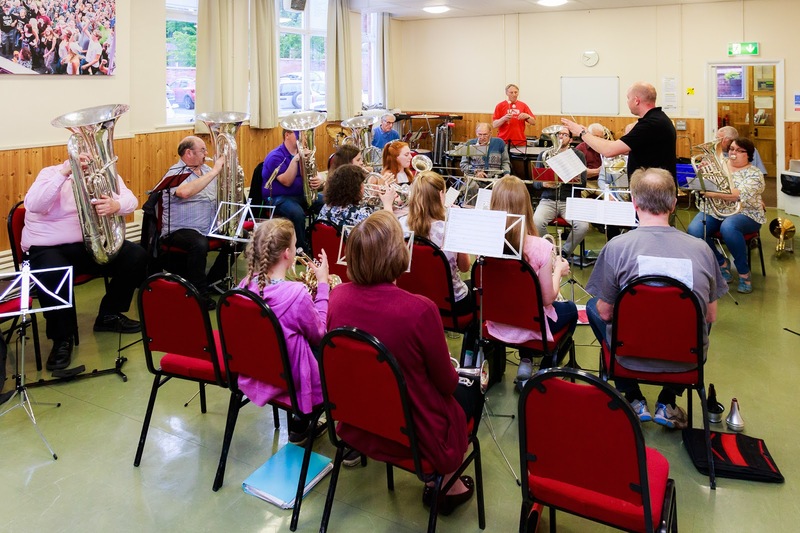 The band practises every Monday and Thursday night between 7.30pm and 9pm at Whitwell Community Centre. You can keep up to date with Whitwell Brass Band by liking us on Facebook and following on Twitter. Copyright Whitwell Brass Band 2017. Registered charity number 1045881. Simple theme. Powered by Blogger.